HIGH QUALITY MATERIAL. Made of Genuine Thick Cowhide Leather for a professional and trendy appearance. HANDCRAFTED. Strong stitching, handcrafted by professional artisans for long lasting durability that only looks better with age. Each naturally developed piece of leather is exquisitely unique, featuring its own distinct patinas and textures. MULTIFUNCTIONAL CARRYING OPTIONS. 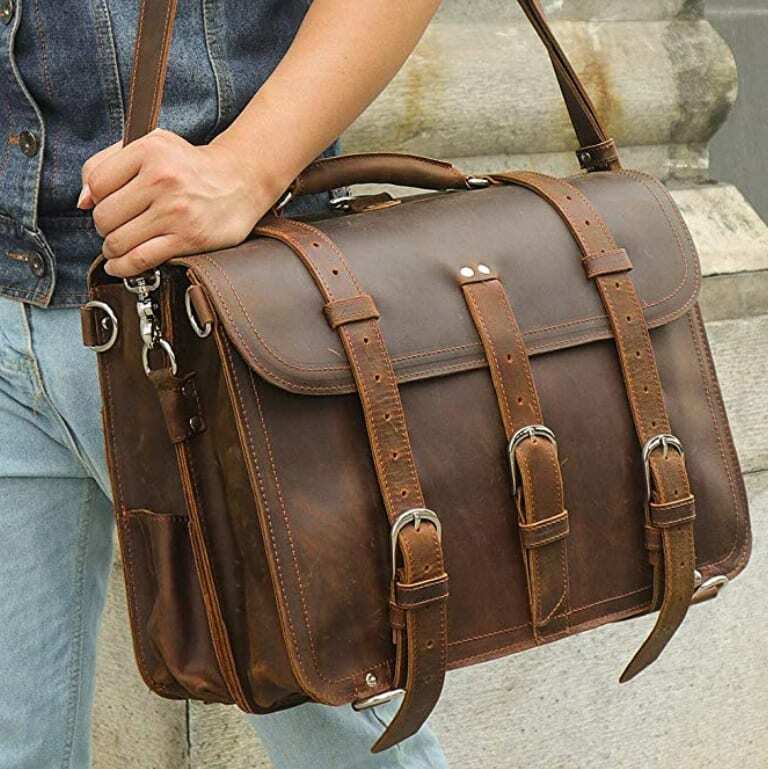 Includes shoulder straps and handle for flexible usage as a laptop bag, messenger bag, or briefcase.